If you’re receiving your GCSE results today, you’re probably planning your future. If you’re a student who sees A-levels as the only option, here’s why that isn’t the case. Apprenticeships are a way to earn skills, experience and money without the hassle of going to college and studying for A-levels and can get you started in the career of your dreams. 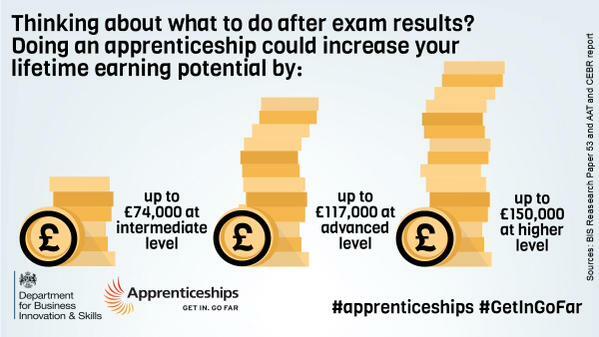 You could earn up to £18,000 a year on an IT apprenticeship. Once your learning’s completed, your salary typically rises to £20,000 and then to £23,500 the year after that. In the time it takes for someone finish A-levels and university, you’ll have already earned far more than the £27,000 debt they’ll have accumulated. You’ll also have five years of valuable experience behind you. It’s often said how hard it is for graduates to find jobs because there is so much competition. You have the chance to bypass that, using a Firebrand IT apprenticeship as your shortcut into work. You’ll be working for a respected company, doing a job that really matters. Plus, we’ll find your job for you – no endless trawling through jobs boards. Once we receive your details, we’ll do the leg work for you. An apprenticeship isn’t a short term fix. Taking the time to learn skills in a meaningful, practical environment will prove your work ethic, as well as your knowledge and ability. These skills are highly valued by employers and you’ll be seeing the benefits for years, because you started your career the right way. Firebrand Apprenticeships are aligned with the demands of the IT industry. The qualifications you’ll earn are from well-respected vendors like Microsoft and Cisco. Not only are thy desired across Europe qualifications like these will give your CV an edge. Also, apprenticeships are funded by the government and your employer. 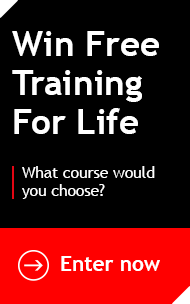 This means the £27,000 worth of training you’ll receive will be completely free. Roles like Network Engineer, Mobile App Developer, Software Developer, Web Developer and Games Developer are just some of the roles that you can do with a Firebrand IT Apprenticeship. These are some of the most highly sought after and in-demand jobs in the industry, giving your career fantastic potential for growth. So, on the job training, valuable experience, industry recognised qualifications and backing from a respected employer in the industry are all included in an apprenticeship. This combination can take you anywhere you want to go. Don’t miss out on this fantastic opportunity. Head over to our website and Apply Now.